We first determine what type of stone it is; if it is a man-made stone, or a natural stone. 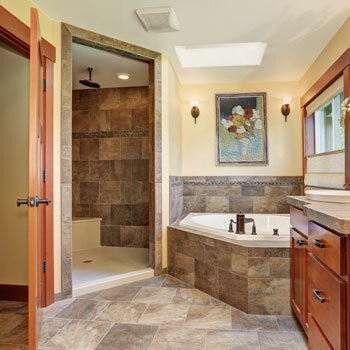 We take the appropriate steps to clean the tile and grout. Being extremely careful on natural stone as to not remove the polish. We pre-spray the floor, scrub the grout and/or tile and use a special cleaning tool for the floors. On a man-made stone, we first start with an acid rents, and then finish up with an alkaline product. We clean all types of stone floors.